Managing multiple projects at once is never easy, but TeamWave reports gives you the flexibility to visualise information and create the reports you need with ease. 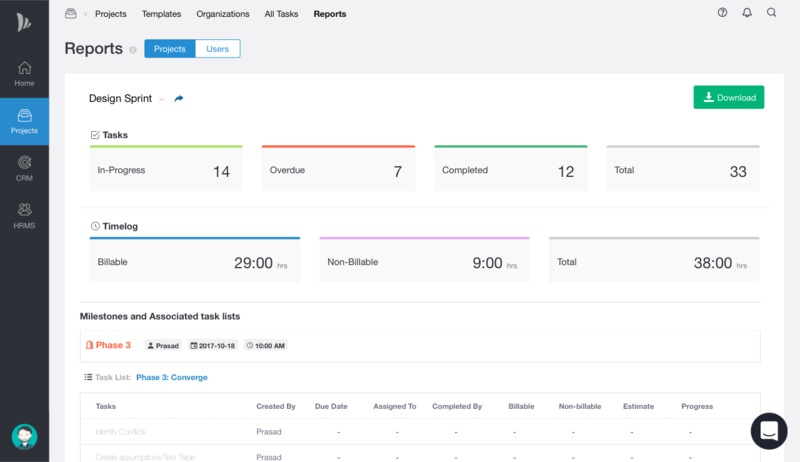 This will allow you to report on work happening within one project and between multiple projects. So, Project Admins can understand how a project is going on. You can even get detailed reports and visualisations to track your Project's performance. 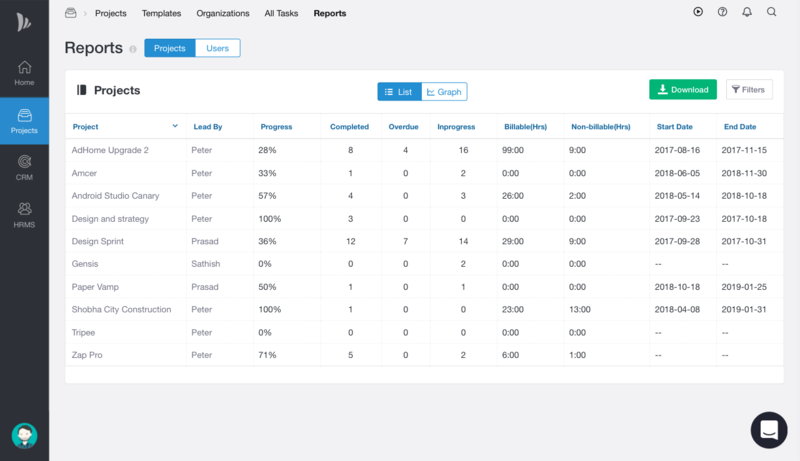 List view - Shows all the Projects in your Organisation. You can sort and filter this data based on your requirement and export filtered data to a CSV file. 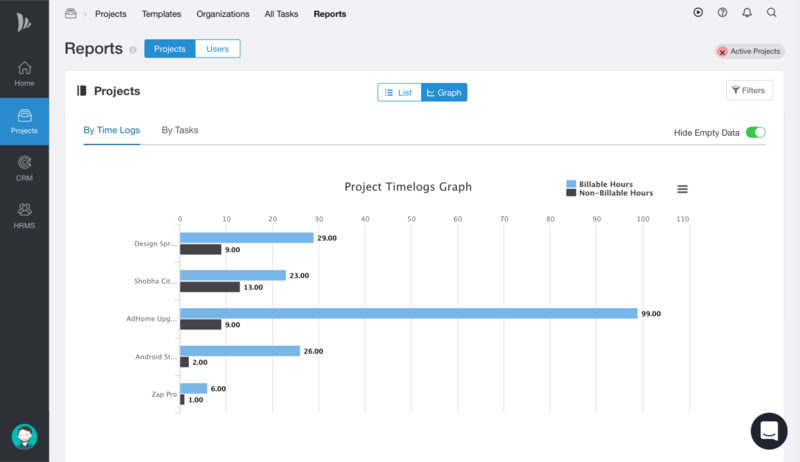 Graph view - This view gives visualised information of your Projects performance based on Tasks and Time logs. Project detail page - Shows more granular view of an individual Project is performing. This view will display all the Tasks, Milestones and Time logs associated with that Project. Only Projects admins will have access to Reporting section.